Join in with the Sleep Chat over on the forum. Sign in to share your ideas on Sleep. Sleep and I have a tempestuous relationship, largely unrequited. 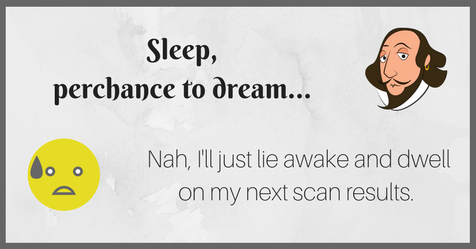 I find that my insomnia is really bad if I've got a scan to look forward to, or a hospital appointment.